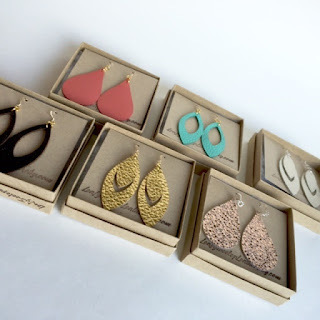 Check out these sweet leather earrings, the perfect gift for any trendy lady on your list...available next week at the Holiday House Boutique! These earrings are ultra light weight and soft. You will forget your wearing them. All made from genuine leather. Hooks are lead and nickel free.